Secure™ Nylon Cable Glands offer a sealed point of contact for cables and wiring to enter an equipment housing without exposing the equipment to any damaging elements. Using a simple seal and clamp system these Nylon Cable Glands offer great IP68 Protections and are completely liquid tight. 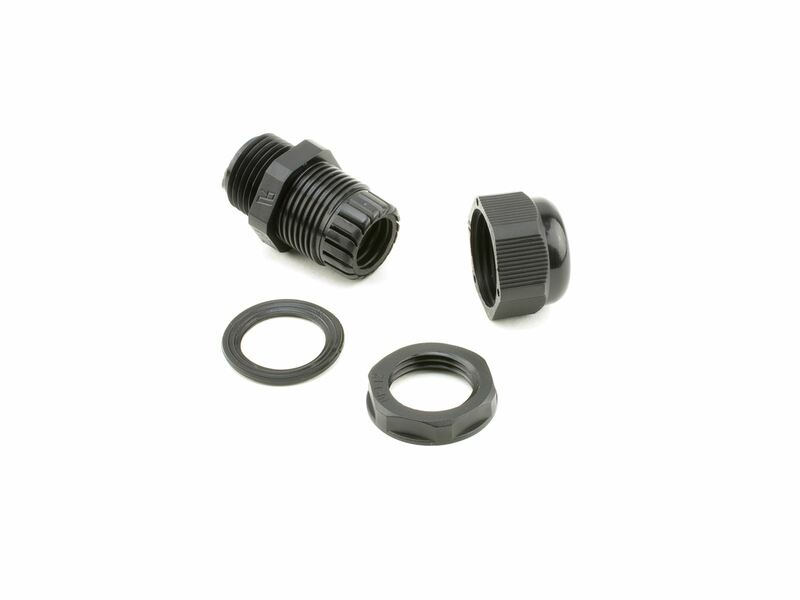 Being made of General Purpose Nylon 6/6 these Nylong Cable Glands are immune to most common chemicals and solvents. Great for use in field panels, mechanical control box, digital display board, electrical equipments, solar power energy system, telecom & network communication,monitoring system, LED lighting facilities, traffic light and electircal machines.